Rod creates art in public spaces to invigorate the social and aesthetic environment and to enhance community well-being. A veteran of over 300 murals in local communities world-wide, ranging in location from the sides and interiors of multi story buildings, schools and hospitals to retail development projects. Monk allows landscape, community and context to inform the creation of his works, customised for the audience and space. 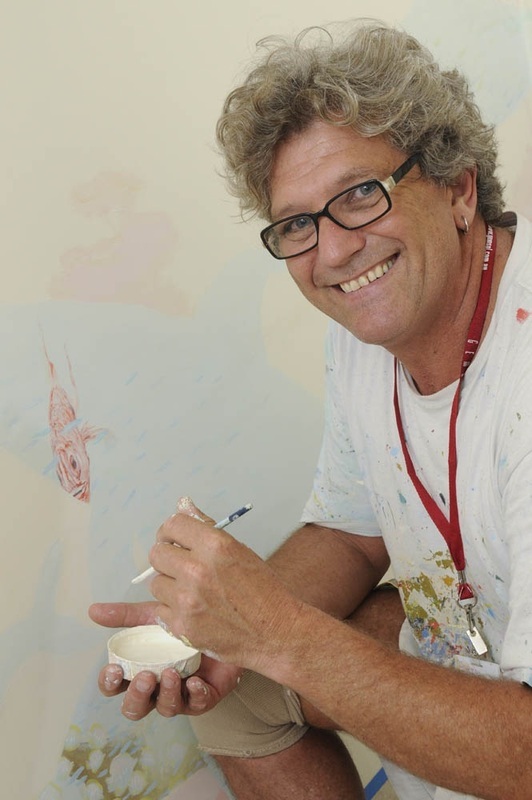 His exceptional brush skills enable him to realise work in many styles and media. Monk brings with him decades of experience in designing and creating public art, both as an individual and as part of multi-disciplinary teams. He thoroughly enjoys collaborative projects and employs highly professional and efficient project management, enabling him to deliver projects consistently within time and budget. Monk’s artworks evolve through collaboration and dialogue with citizens, architects, developers and teams of artists. He enjoys communicating and working with the client and audience during design and creation.